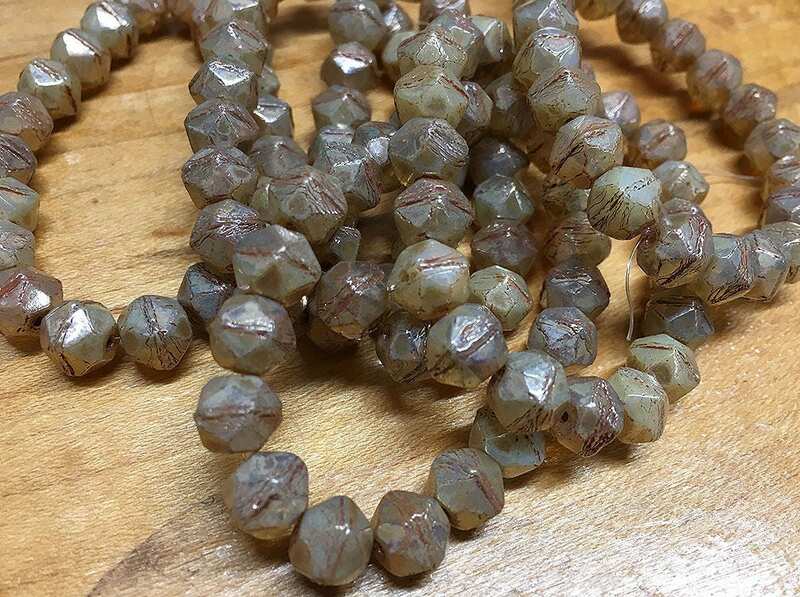 Vintage look champagne Czech pressed glass English cut beads with a golden luster finish. These are 8mm in size. There are 20 beads per strand.